Make perfect toasted sandwiches and other snacks with NO mess in your toaster. Simply make your sandwich, place it in the toastabag and pop the bag in your toaster. In about 3 minutes you will have a perfect toasted sandwich. 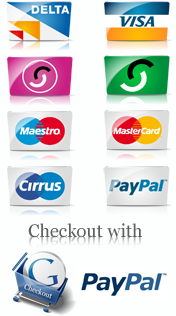 Check out our recipe page for some delicious and varied sandwich ideas! 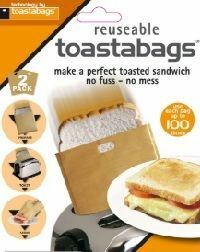 You can use toastabags to make a wide variety of toasted sandwiches or to heat up pastries, pizza slices, chicken nuggets and more! Perfect for kids after school snacks! Easy to clean toastabags can be washed in warm soapy water or in the dishwasher.